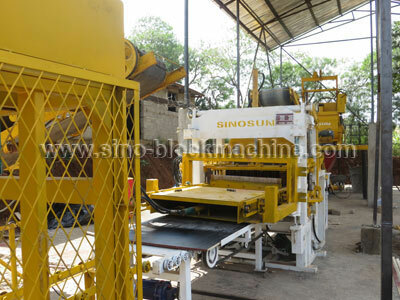 ★SINOSUN concrete block making machine QT4-15 features low Investment and easy to operate. For local workers, QT4-15 block making machines could produce high quality block after short time training. 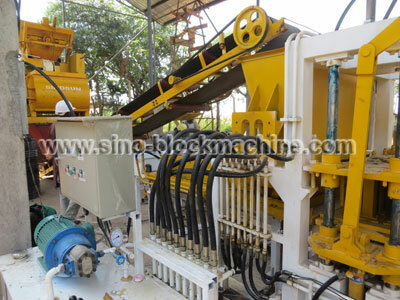 For small business investment, QT4-15 block machine is an ideal choice. 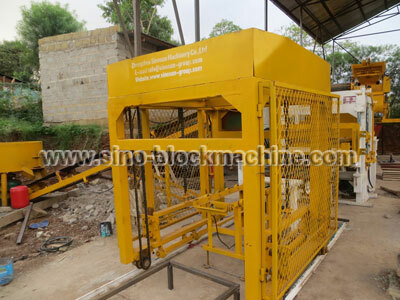 ★QT4-15 block making machine could produce hollow blocks, colorful paving blocks,curbstones and other concrete blocks according to the requirements of the customers by changing the moulds. 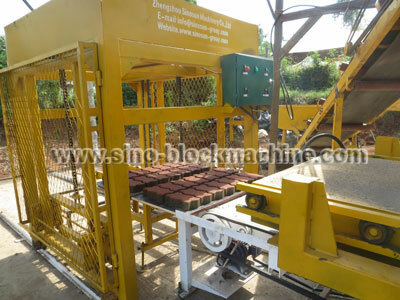 QT4-15 concrete block making machine could widely use fly ash and slag, hold river sands, cement and steel slag, acid water slag, slag, gangue, construction waste other industrial wastes to produce standard bricks, porous brick, hollow blocks, concrete block, paving brick, tiles and high value-added garden environmental protection products, etc. The hydraulic station of QT4-15 concrete block making machine uses the reversal valves (Taiwan CALYCA brand). These reversal valves could run steady and reliable with reasonable design and precise manufacture. The whole system layout of the concrete block machine is reasonable, compact structure, absolute guarantee product yield and precise appearance. 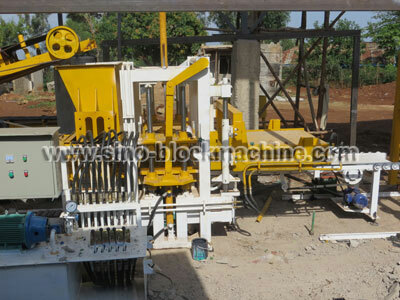 Manual and Automatic: the PLC control system of this concrete block making machine adopts integrated control circuits, the entire block making machine equipped with corresponding magnetron travel switch, manual function control button switches etc, reliable operation, convenient and practical operation. QT4-15 Concrete block machine is our hottest model. We have installed many sets in foreign countries. Multi-functional, big hydraulic pressure, excellent block quality.It is very popular among customers.